Couture and fashion items. mens, womens, tuxedos, ball gowns, evening wear, business wear, footwear, jewelry, human skins shapes and eyes, casual wear, glasses, purses. No other types of items will be allowed. Store space is available by inquiry only and we are currently accepting only those Merchants catering to the higher end of fashion and specializing in Formal, Semi-formal wear and high end accessories. The ballroom is open 24/7, sees more traffic than the grid owned ballroom in Cascara and hosts events featuring Live Performers at least 8 times or more each month. 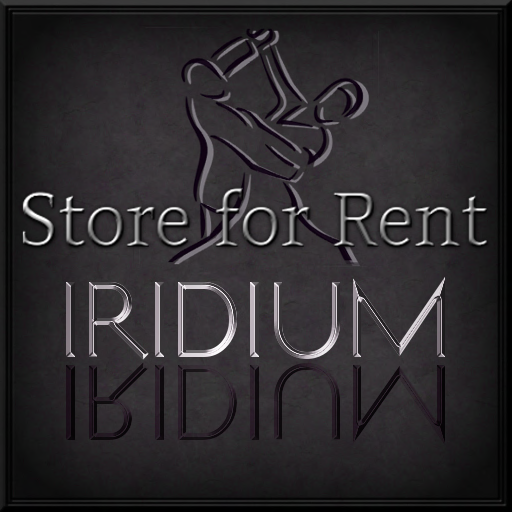 IRIDIUM Ballroom has a dress code of Formal to Semi-formal wear, thus driving clients straight to your business in the adjoining Plaza and Shopping center at the entrance of IRIDIUM Ballroom. Not ready for an entire store? Only have a few items for sale? IRIDIUM Plaza also offers sales kiosks that you can sell up to 24 items and display your logo on all four sides.